Yes! Your child can live a normal life, off welfare, out of jail and employed without going to a public school. 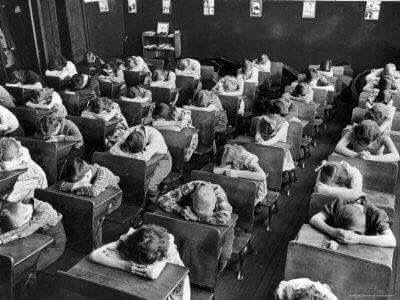 I’m not as old as the kids in this picture are now, but I sure remember “Heads Down” time.